i. Country’s largest bank State Bank of India has increased fixed deposit or FD rates for some select maturity periods. According to the revised rates, SBI is offering 6.8% interest rate on FDs with maturity period of one to two years, as compared to 6.7% earlier. The interest rate for senior citizens also goes up to 7.30% on SBI FDs with tenure between one year and two years, from 7.2% earlier. ii. Similarly, SBI has hiked interest rate on FDs with maturity period between two years and three years. 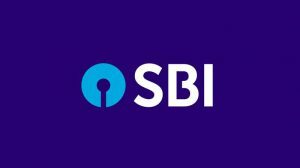 SBI is now offering 6.80% as compared to 6.75% earlier. The interest rate for senior citizens also goes up to 7.30% on SBI FDs with tenure between two years and three years, from 7.25% earlier. SBI has kept interest rate unchanged for FDs with other maturity tenures. 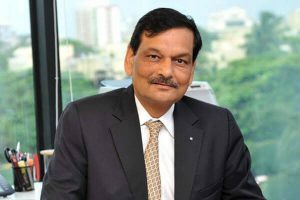 i. Arvind Saxena has been appointed as the new Chairman of Union Public Service Commission. UPSC is the institution responsible for conducting examination for selection bureaucrats, diplomats and police officers. Saxena will be serving in the office till August 7, 2020, when he attains the age of 65 years. ii. Prior to this, he has been working as the acting head since June 20, 2018. He joined UPSC back in May 2015. Earlier, he has also worked as Director of the Aviation Research Centre (ARC). 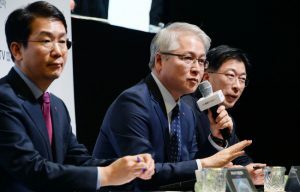 i. LG Electronics has announced that it has appointed Brian Kwon as the new president. He is replacing Hwang Jeong-hwan after one year. ii. Brian Kwon is head of LG's home entertainment business, from December 1. It comes after LG's mobile business posted a loss of $410 million this year, including a $130.5 million net loss in the last quarter. i. IT czar and philanthropist Azim Premji was bestowed with the highest French civilian distinction Chevalier de la Legion d’Honneur (Knight of the Legion of Honour). 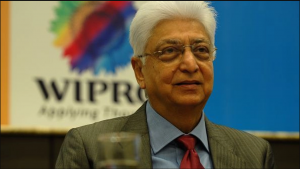 Premji, who is the chairman of Bengaluru-headquartered IT major Wipro, received the distinction from the Ambassador of France to India Alexandre Ziegler in Bengaluru. ii. The award was bestowed on Azim Premji for his outstanding contribution to developing the information technology industry in India, his economic outreach in France, and his laudable contribution to society as a philanthropist through the Azim Premji Foundation and Azim Premji University. i. Donbass directed by Sergei Loznitsa has won the coveted Golden Peacock Award at the 49th International Film Festival of India (IFFI), which concluded in Goa on November 28, 2018.
ii. The Golden Peacock Award carries a cash prize of Rs 4 million (Rs 40 lakhs) to be shared equally between the Producer and the Director, Trophy and the citation. i. 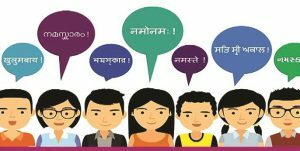 The government has launched a unique initiative called Bhasha Sangam to introduce school students to 22 Indian languages. The initiative, under Ek Bharat Shreshtha Bharat, was active for the period between 22nd November - 21st December. ii. Bhasha Sangam is a programme for schools and educational institutions to provide multilingual exposure to students in Indian languages. Another objective of Bhasha Sangam is to enhance linguistic tolerance and respect and promote national integration. i. Himachal Pradesh has became first Indian state to launch a single emergency number "112". This will connect to police, fire, health and other helplines through an Emergency Response Centre in the state. ii. Under this project, an Emergency Response Centre (ERC) has been established in Shimla along with 12 district command centres (DCCs), covering the entire state. Union Home Ministry statement stated that Ensuring safety of women, 'SHOUT' feature has been introduced in '112 India' mobile app to seek immediate assistance from registered volunteers. 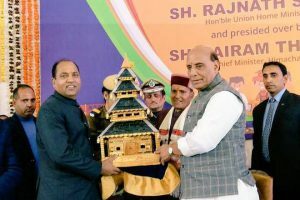 Himachal Pradesh CM : Jai Ram Thakur, Governor: Acharya Devvrat. 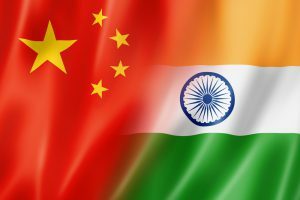 i. India and China have signed a protocol on hygiene and inspection requirements for the exports. The commerce ministry stated in a statement that a protocol on hygiene and inspection requirements for the exports was signed in New Delhi during the visit of Chinese Vice Minister, General Administration of Customs of China Hu Wei who was leading a six-member delegation to India. ii. The move would enable India to commence export of fish meal and fish oil to China. The neighbouring country has so far not allowed these exports by India. China Capital: Beijing, Currency : Renminbi. i. Naval exercise between India and the United Kingdom, KONKAN held in Goa this year. Both Navies have, over the years, undertaken bilateral activities such as training exchanges and technical cooperation. The Bilateral KONKAN exercise provides a platform for the two Navies to periodically exercise at sea and in harbour, so as to build interoperability and share best practices. ii. The KONKAN series of exercises commenced in 2004, and since then has grown in scale. 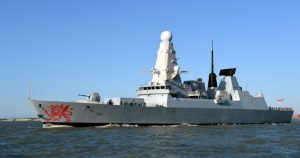 The Royal Navy will be represented by HMS Dragon, a Type 45 Class Destroyer equipped with an integral Wildcat helicopter. i. 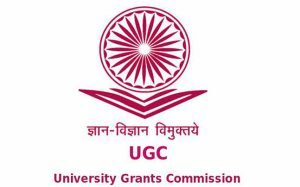 University Grants Commission, UGC has decided to set up a Consortium of Academic and Research Ethics (CARE) which will prepare a fresh list of credible quality journals in the non-science disciplines. ii. The commission stated that the percentage of research articles published in poor quality journals is reported to be high in India which has adversely affected its image. CARE will be headed by the UGC Vice Chairman. i. The Indian Space Research Organisation (ISRO) has successfully launched PSLV-C43. 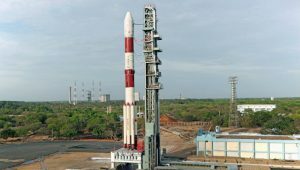 This launch took place from the first launch pad of the Satish Dhawan Space Centre in Sriharikota. ii. Marking the 45th mission that uses the polar satellite launch vehicle (PSLV) rocket, ISRO launched. its latest Earth-mapping satellite, HysIS, as part of the mission. The HysIS satellite adds a mass of 360kg to the payload, and launched beside 30 other satellites from six nations. i. 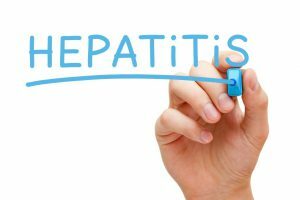 Institute of Liver and Biliary Sciences has launched a campaign to spread a pan-India awareness about hepatitis disease. Empowering People Against Hepatitis: The Empathy Campaign was launched at Metro Bhawan, New Delhi in presence of Managing Director of DMRC. Dr. Mangu Singh, and Director ILBS. Shiv Kumar Sarin. ii. The initiative will help generate awareness about Hepatitis B and C. About 60 million people in the country are inflicted with Hepatitis virus infections which are responsible for liver cirrhosis and cancer.